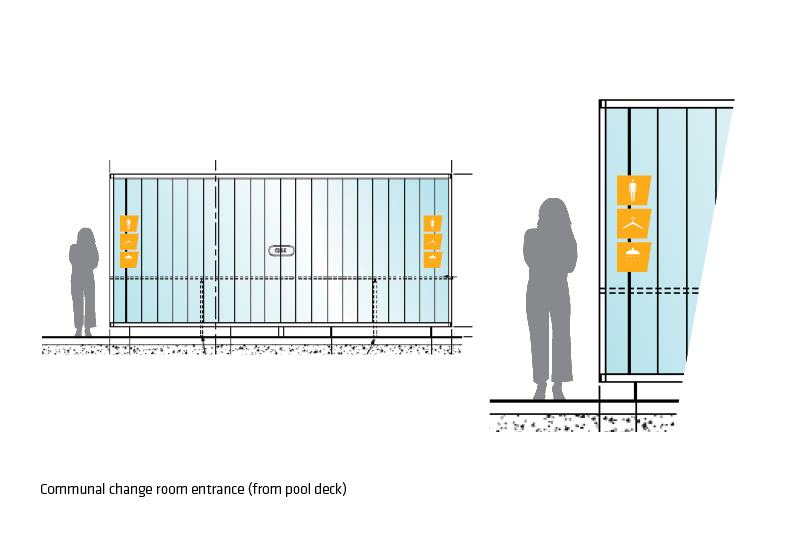 Vancouver architecture firm HCMA are renowned for their work on aquatic centres. 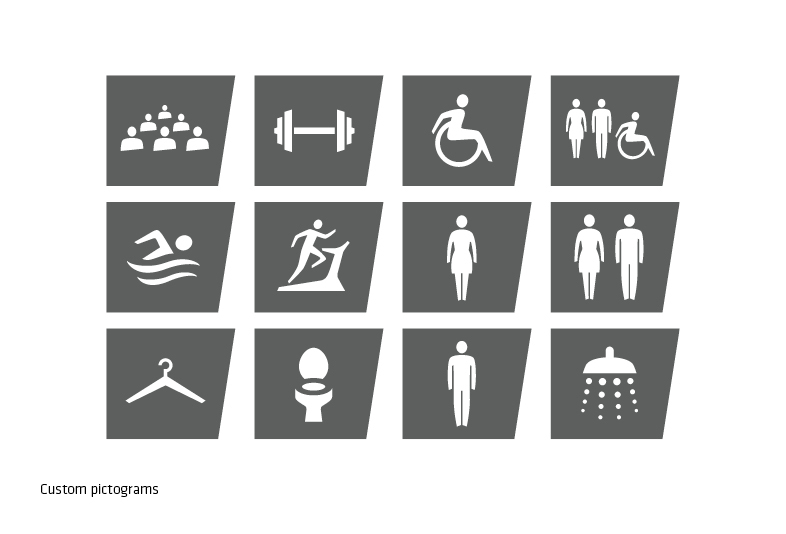 Their iconic Grandview Heights Aquatic Centre in Surrey, BC, is both a destination training facility and key venue for regional, national and international competitions; the centre is an anchor for the developing community. 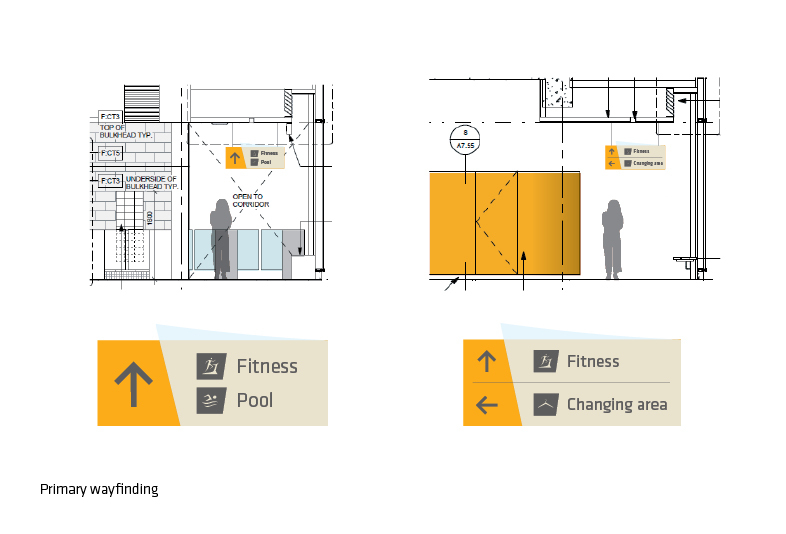 A major feature of the centre is the roof and the open space it creates. 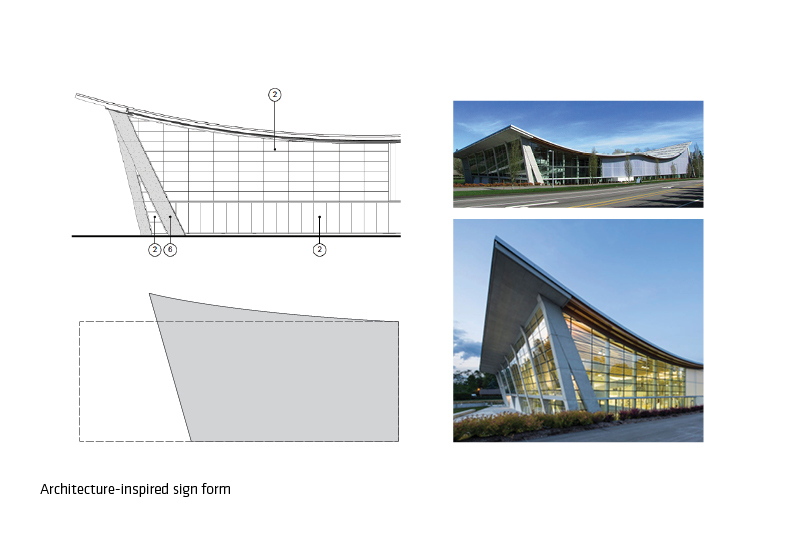 Shying away from typical ribbed ceilings of steel, HCMA employed an almost-exclusively wood roof solution, designing the world’s longest span timber catenary roof ever built. 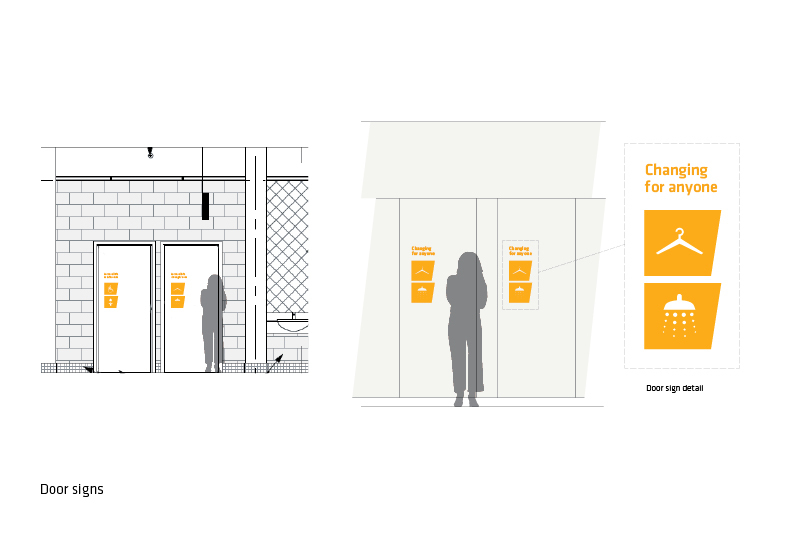 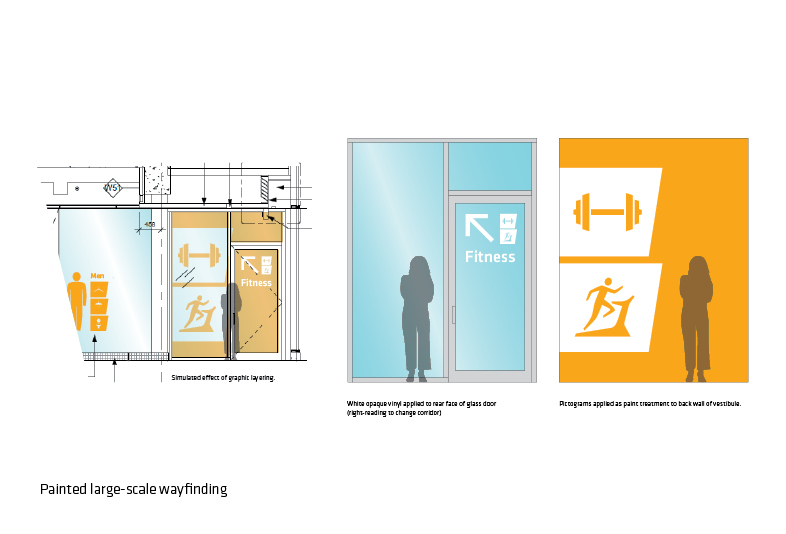 My role in this project was to design a complementary wayfinding system for the public spaces. 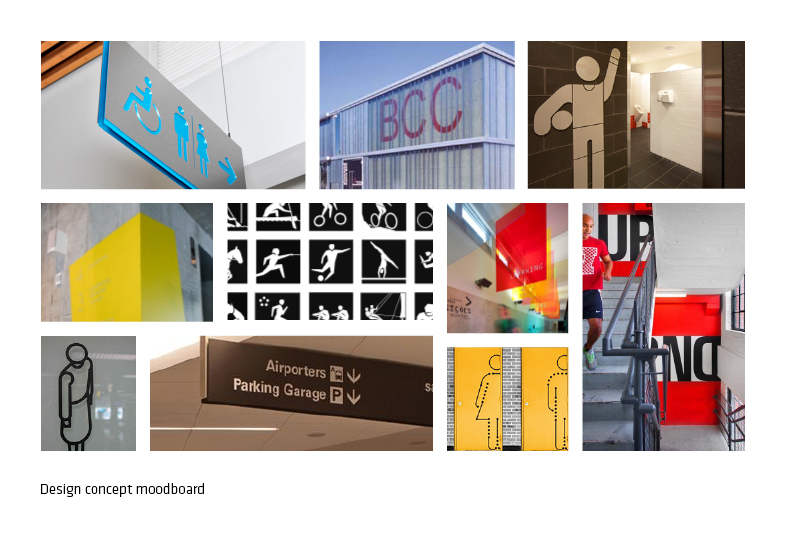 Visually inspired by the distinctive roof line and the interior finishes and colour palette, the primary signs have a layered construction, while others are applied directly to concrete block walls to ensure a fully-integrated appearance. 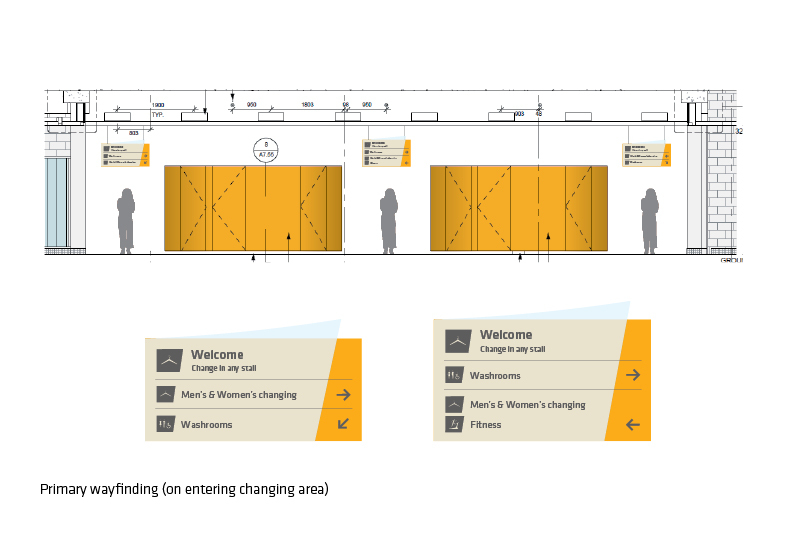 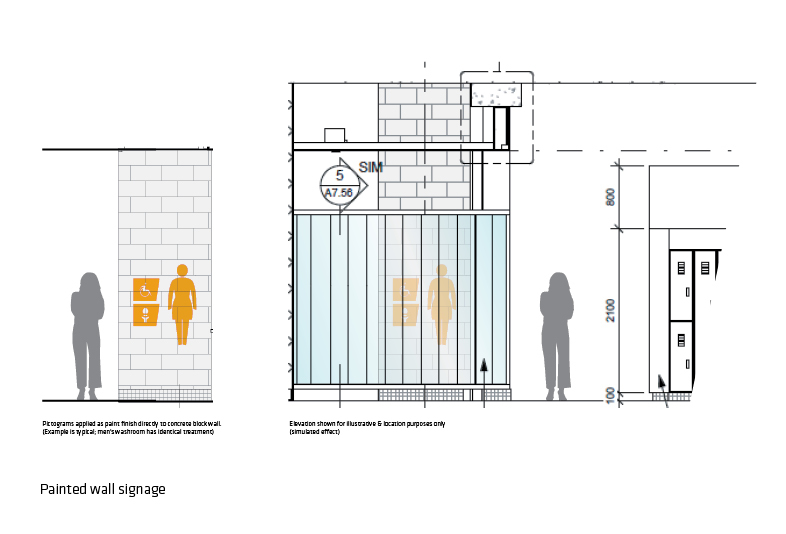 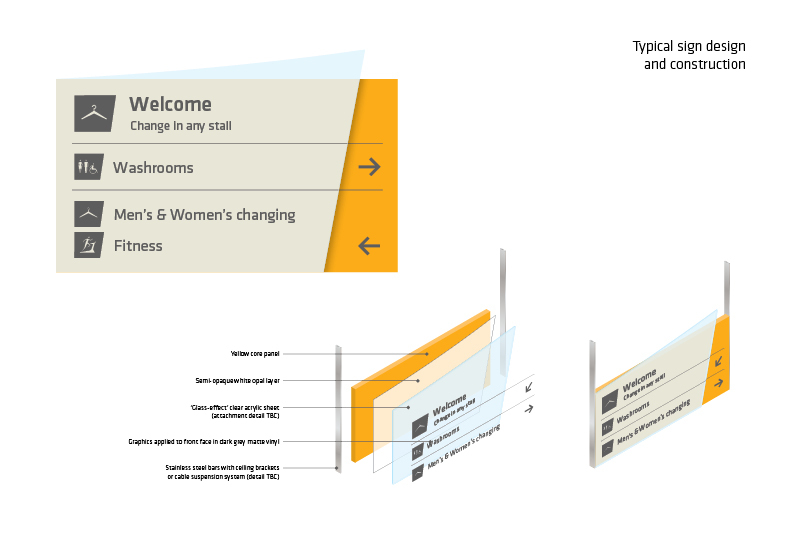 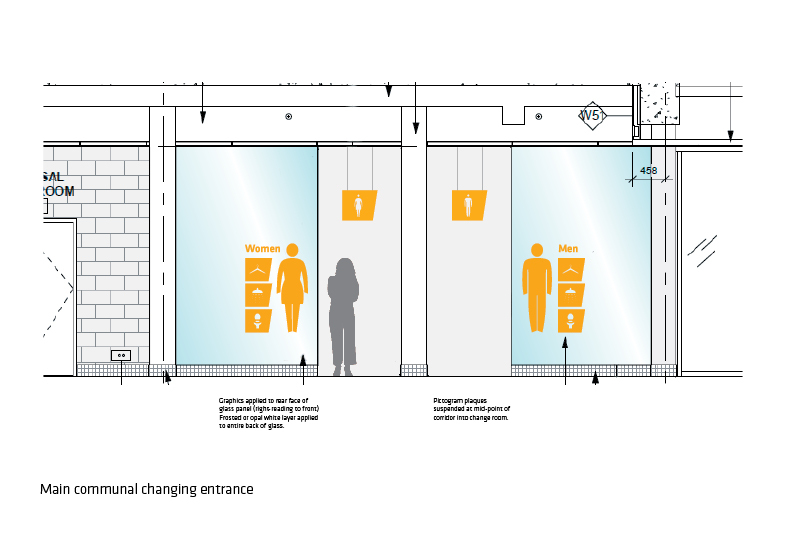 The wayfinding clearly guides guests around using universal changing area; this is potentially challenging for people who are used to traditional gender-separated communal changing. 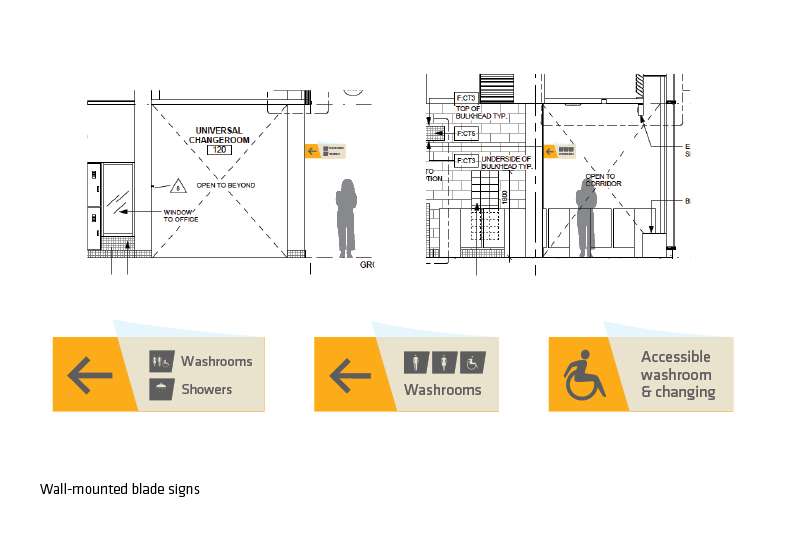 Project completed under contract to Cygnus Group, Vancouver.